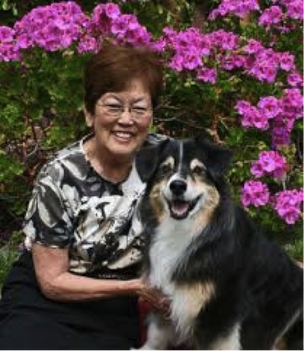 Now that Sorrento Valley resident Faith McCune has successfully published her first novel, “Duffy’s World: Seeing the World Through a Dog’s Eyes,” she has been concentrating her energy for the last few months on an organization she is very excited about. Called The Kids of America, this nonprofit’s dual mission is to educate children on two seemingly disparate but important subjects not normally covered in school curriculum: how to preserve our planet’s resources and how to be financially responsible for their future. Faith said that the organization is developing a pilot program called “Roadmap to Sustainability.” This innovative, self-paced program will be offered on a voluntary basis to students at a local charter school as soon as funding is completed. The program will utilize experts from different fields to present practical and empowering information through on-line lectures on a wide range of subjects, individually picked by each student. Topics include entrepreneurship, goal setting, public speaking and the stock market, to name a few. The program will be offered to students from ages 16 to 24. This Saturday, June 14, The Kids of America is hosting a fundraiser event that the whole family can enjoy, the Father's Day Festival & Walk , to focus awareness on the importance of early health screenings for prostate cancer. Part of the proceeds will also go to benefit the Sorrento Valley Town Council. Be sure to post this onto your social network and ask your friends to join you on the walk or to sponsor you. Bring a filled out Pledge Form (click here) with you to the walk. The fun-filled, daylong event begins with a check-in/registration for a 5k walk at 7:30 a.m. at the Sears parking lot at UTC Westfield Mall. The walk begins at 9 am from the Sears lot, continues to the National Cemetery at Miramar where flowers will be lain in honor of those who served our country, and ends back at the Sears lot where there will be a free admission Father’s Day Festival until 4 p.m. with live entertainment, games and more. Bring your pets too; there will be a contest for “Man’s Best Friend” and a Pet Expo. The Kids of America also sponsors electronic waste-recycling events throughout California to help fund their education program. An e-waste collection will be set up at the event so anyone who wants to get rid of old TVs, computers, laptops, monitors, etc., can bring them to the event and the staff will take it from there. They hope to teach the children how to preserve the planet and save for their future.